Location: Manchester City Art Galleries, Manchester England. Hylas was the young armor carrier of Hercules and a ship mate on the Argo. When the Argonauts reached the island of Cios, he was sent ashore to find water. 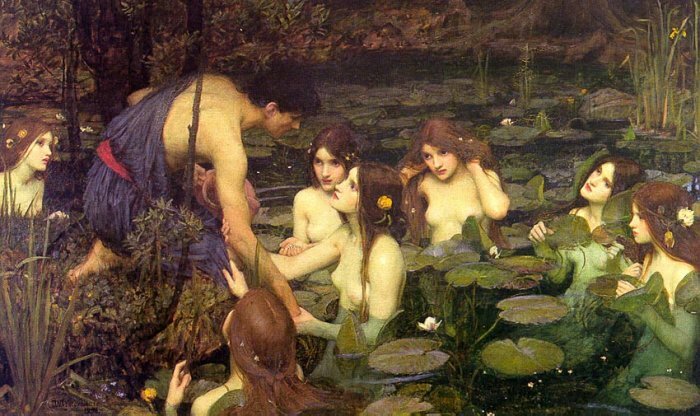 When he went to draw water from a pool, he came across the Naiads, or "water nymphs". 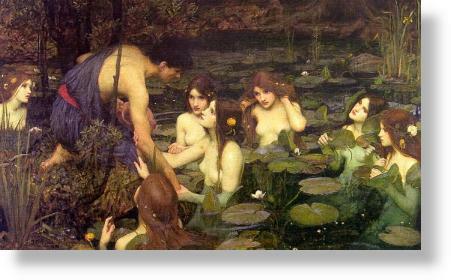 The usually helpful and sweet Naiads were so taken by his handsome, youthful appearance that they lured him into the water and he was never seen again.